Alberta winters can do a real number on our gardens, so once the snow melts, a little restoration is in order. Freezing temperatures and strong winds aren’t exactly gentle on our plants and soil, but thankfully, any wear and tear that our garden sustains can be easily remedied with a little effort. So, roll up those sleeves and get ready to give your garden a much-needed refresher, because if you want your summer harvest to be the best it can be, it’s important to make sure soil conditions are up to standard. Remove any dead plant matter or debris. Dried up leaves, sticks, weeds, and old mulch should get raked away to expose the soil. If your mulch has decomposed quite a bit, it’s fine to keep some in and mix it into the soil, as it can be a fantastic source of nutrients for your garden. However, if it’s still pretty chunky, you may as well remove it so you can reach your soil more easily, and then reapply fresh mulch once you’re finished planting. Test your soil’s pH to see if it needs amending. Pick up a test kit from the garden centre to see if your soil is overly acidic, overly alkaline, or just right. If the pH reading is below 7, your soil is acidic. Many plants thrive in slightly acidic soil, but too much acidity isn’t ideal, so if it’s lower than 6, you may want to consider adding some lime to increase the pH levels. Add in some compost or manure. It might not smell too pleasant, but your plants will thank you! Layer on 3 inches onto the surface, then rake it through to incorporate it into the soil. Compost and manure are also helpful for fixing soil that skews too far on the alkaline side. Once your soil is good to go, there are a few things you should do before going forward with planting. 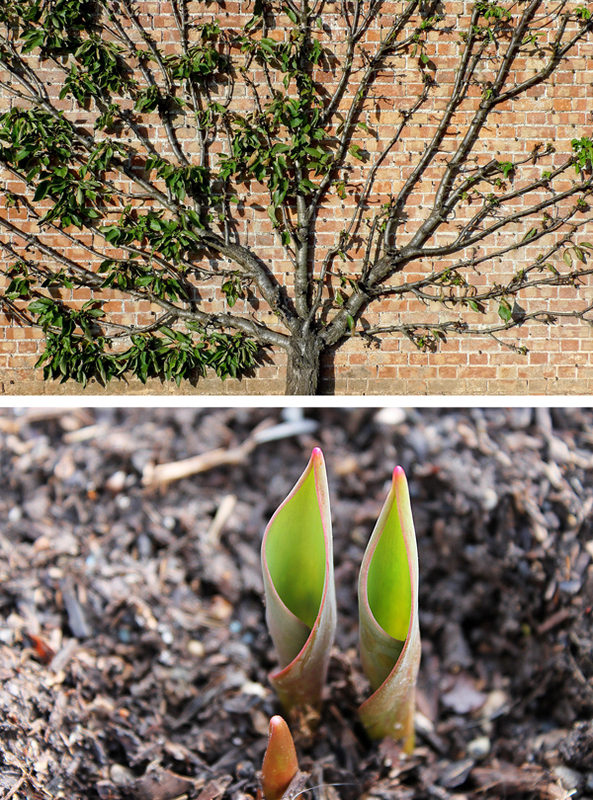 Perennials, shrubs, and trees that withstand the winter and re-grow in spring will benefit from a little attention too, so take note of these helpful tips for rejuvenating your spring plants. Begin by cleaning all of your garden tools. Plants aren’t immune to getting sick, and garden tools with old gunk leftover from last year can carry bacteria that could harm both you and your plants. Thoroughly sanitize all your tools with isopropyl alcohol before digging in to eliminate the risk of spreading disease. Prune shrubs and trees to promote fresh growth. Cutting back old wood and shaping shrubs and trees at the beginning of the season will help them to grow thicker without getting too lopsided or unkempt. Just make sure you only cut back on plants that require new wood to grow, because some shrubs like lilacs and magnolias grow on old wood, and don’t need to be pruned until summertime. Divide perennials that tend to get overcrowded. Some flowers, like hostas and daylilies, are prone to growing a bit too thick over time. To give them some extra breathing room, try removing them from the soil, gently splitting them up at the roots, replanting one half in the same spot, then transplanting the other half to a new spot. Plant new spring bulbs at the start of the season. Some bulbs are meant to be planted in fall and lie dormant over the winter, but others are ready for planting in spring and should bloom by summer. Some popular bulbs to plant in spring include hardy begonias, Asiatic lilies, dahlias, and gladiolus. Taking the time to refresh and rejuvenate your garden in the spring is so worth the effort. Think of your soil as the canvas for your work: making sure it’s clean and in good condition will ensure your finished product is beautiful and bright.